There’s no doubt about it – 2018 has been a great year for golf. Not only have we seen some amazing shots this year, Europe showed it could still play world-class golf and win, a golfing legend made his long-awaited come back and Rio Real introduced Spain’s first dynamic prices. What a year! Read on to discover our golf highlights in 2018. In mid-December, the PGA world golf rankings placed the US in top golfing position. Players from North America took four of the top five places with just one European, Justin Rose, in the running. Best of all in 2018 was Brooks Koepka, named PGA Player of the Year for some amazing golf. He became the first man in almost three decades to successfully defend the US Open title and has risen to the top from eighth place last year. Other great golfers in 2018 include Bryson Dechambeau, who at 25 is one of the world’s most promising golf players. His fifth place in 2018 in the PGA World Rankings is a massive climb for last year when he stood in 99th position. 2018 was a year to remember at Rio Real, one of the most iconic golf courses on the Costa del Sol and something of a pioneer. 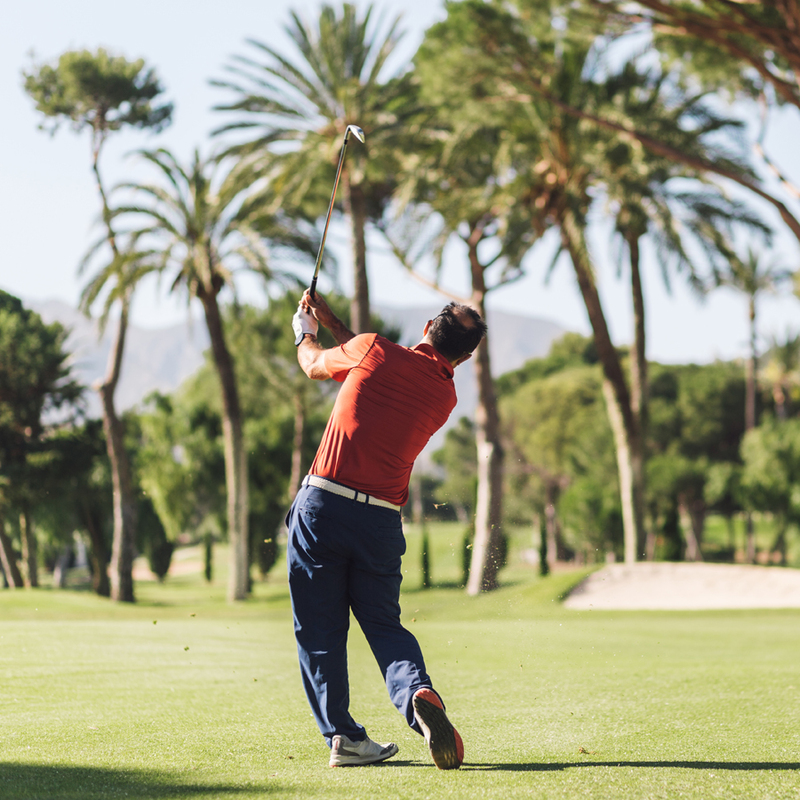 In 2018, Rio Real introduced the first dynamic pricing system for green fees in Spain, giving golfers the chance to choose dates and prices to suit them. The system has been well received by players who value the straightforward booking system as well as the easy-to-spot great golf deals in Marbella. See just how easy it is to book your round of golf at the best price here. More golf highlights in 2018 definitely came in the amazing holes-in-one, bagged by players in tournaments all round the world. Whether it was a long-distance shot (sometimes from the first tee), up a slope with the hole out of view or just one of those fluky swings, spectators were treated to some extraordinary shots this year. Check out this year’s best holes-in-one here. 2018 saw some nail-biting stuff in the world of golf tournaments. Brooks Koepka bagging the US Open for the second year in a row… The tense finish at the 147th Open where at one point, six top golfers were all in first position… But we’ve chosen the Ryder’s Cup as our best tournament in 2018. Not only did the event include some exceptional golf, it also saw the European victory of 17.5 against the Americans. Noren scored an extraordinary birdie and Italian Molinari was the only player with a perfect record. Spanish Sergio García also had an amazing tournament and became the all-time leading point scorer in the long history of the Ryder Cup. Read more about the Ryder Cup here. Another golf highlight in 2018 came in Tiger Wood’s long-awaited comeback. After years in golfing doldrums, the American upped his game and delighted spectators everywhere. One of his best shots was out of the bunker at the 10th at Carnoustie during The Open. And as a reward for some exceptional golf, Woods stood in 14th position in the world ranking at the end of 2018, up from 656th place a year earlier. That’s what we call a comeback! And even if your golf didn’t go quite so well in 2018, it wasn’t a smooth ride all the way for the Pros either. According to statistics from all PGA Tour events in 2018, just two Albatross were hit, only 1,544 Eagles and 64,344 Birdies (less than 20% of the total). Best of all, you can up your game in 2019 with some personalised tuition from our Pro expert at the Rio Real Academy. Sign up for the course to suit you and make your own golf highlights in 2019!